In 1979 Manuel Valenzuela arrived in Alpujarra, high in the Sierra de la Contaviesa mountains, to live from the land. He was the first to plant single grape plots, the first to plow with a tractor, to introduce foreign quality grape varieties, and to recover ancient local grapes like Vigiriega. 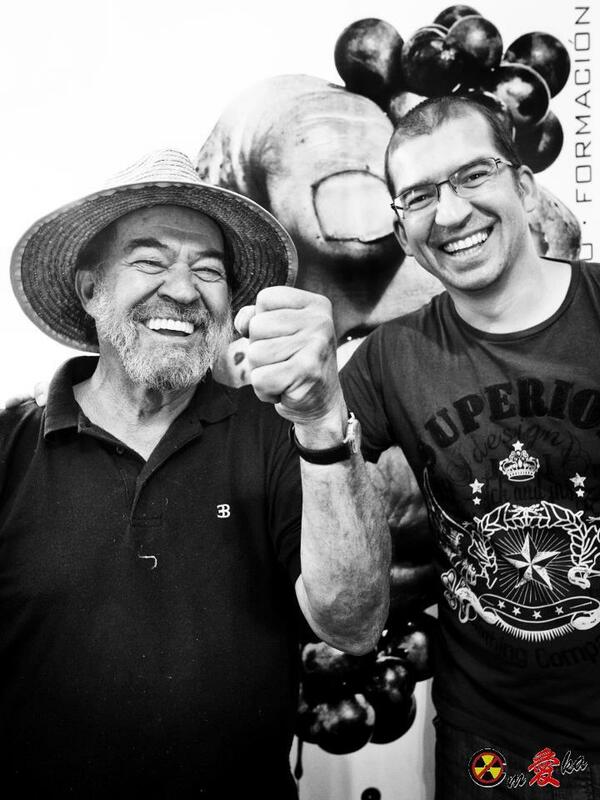 In the early 90s, after years organizing farmers across the country, he received the first ‘Organic’ certification in Spain. 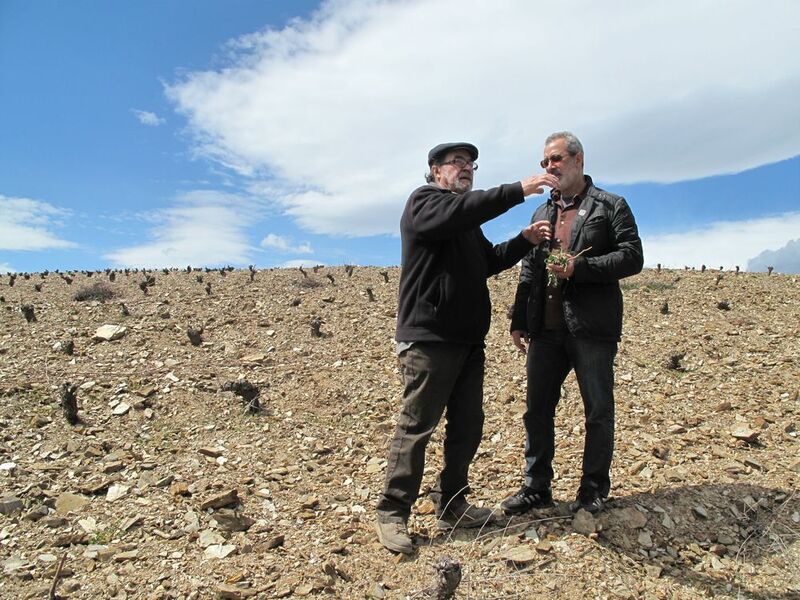 He has since declined the certification, which is not rigorous enough for his taste, but he and his son Lorenzo continue their work in the vines, 1,300 m and 10 km from the sea. The climate is very dry and breezy, the soil is made of schist and clay and is very poor. Their work in the vineyards and cellar is careful and non-interventionist. Most of the wines are vinified without sulphur. This rose, made of Pinot Noir, is directly pressed with no maceration time and then aged in barriques. The labels takes its name Salmónido “rosado a contracorriente” (or counter-current rose) from a civil servant named Manolo who is said to be like a ‘salmon, always swimming against the current’ because he rejected the appellation designation and the trappings that it came with. As such, the wine is aged and reflects the complexity of going to the beat of your own drum. This style wine is not every year. These Tempranillo vines - locally known as Tinto Varetuo - were planted in 1996, are fermented whole-cluster in stainless steel and spend 4-5 days on the skins, with 20 days fermentation and aged for 12 months in old French oak barrels of 225 and 500 litre sizes; lightly filtered. The name Rubaiyat comes from the collection of poems by Omar Khayyam, an ancient Persian mathematician, astronomer, scientist and wine lover. The Syrah vines are approximately 18 years of age, planted on one hectare of schist and stony clay soil with southern exposure and manually harvested in mid-October. Fermentation for 20 days with natural yeasts; 4-7 days on skins and left on lees until bottling. Aged in old French barrels between 225-500 L for one year; lightly filtered. From 18 year old vines planted on one hectare in mainly schist soils at such a high elevation (1,280-1,350 meters) the grapes are able to retain a striking acidity. Harvested in mid-October, the grapes are put into steel tanks whole-cluster and lightly crushed by foot; 5-7 days on skins with spontaneous fermentation for 20 days, left on lees until bottling and aged for two years in old French oak barrels between 225-500 liters; light filtration. Named after the ancient village spelling of Granada and with its symbolic pomegranate depiction, this wine playfully circuments the appellation legislation and makes it known you are still drinking a wine from the area. From two hectares planted between 1983-1989, spending 5-6 days on skins, fermenting for 20 days in stainless steel and aged for 18 months in old French oak barrels; lightly filtered.